Your HVAC consumes a lot of energy and forms a large part of your expenditures for building utilities. To get the most out of it, your business needs to make sure that it’s running at peak efficiency throughout the winter. Having a professional come in to do an HVAC inspection and perform winterizing activities on it will help you maintain a reasonable energy bill. Here are some things that need to be done to make sure your HVAC is ready for winter. Any part of the HVAC system that comes in contact with outdoor air needs to be inspected and readied to deal with temperatures when they dip below freezing. Air vents need to be checked for debris, and condensation traps need to be emptied and dried to avoid unnecessary freezing. Any outdoor pipes should also be insulated and protected from the colder weather. Airside economizers, which regulate the amount of cold air allowed in the building, need to be checked. The air filter keeps debris from getting into the office air. When it’s too dirty, your HVAC system has to work harder to force air through the filter and through the system. Not only does it use more energy to accomplish this, but it also uses more energy to heat the building because of the diminished efficiency. Changing the air filter will help improve performance and reduce wear and tear on your entire system. The burners that provide the heat for the system should be removed and cleaned. Once they’re reinstalled, they should be inspected to ensure that they are burning cleanly. If your system uses water as part of its heating elements, it’s important to make sure that the pipes are clean and there hasn’t been a proliferation of mold or condensation in places where water shouldn’t be. Seal exposed pipes and openings to prevent loss of heat. If you have different rooms with temperature regulation, you want to make sure that the thermostats are kept in sync with each other. While most thermostats are digital, as they age, they may lose temperature measurement accuracy. Having properly regulated and working thermostats can help prevent your HVAC system from heating in one area and cooling in another simultaneously. Strange sounds coming from the system may indicate an obstructed airway. If there isn’t enough air flow coming through the events, your system won’t be as efficient as it should be. 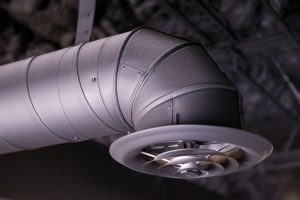 Making sure that the vents are clean and that the air can move through the system unimpeded will protect your system from overworking and breaking down late in the season. Having a professional look at the system will make sure that you get the most out of your HVAC. By engaging a company to provide your commercial HVAC inspection, you’ll be sure that the work is guaranteed, and nothing will be overlooked in the process, which will improve the lifespan of your HVAC system. 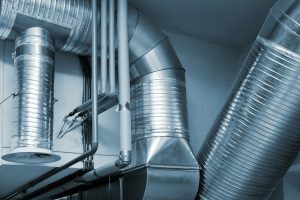 Whether you need full winterization or a commercial HVAC duct cleaning in Norcross, GA, contact Air Quality Systems and schedule an appointment today!